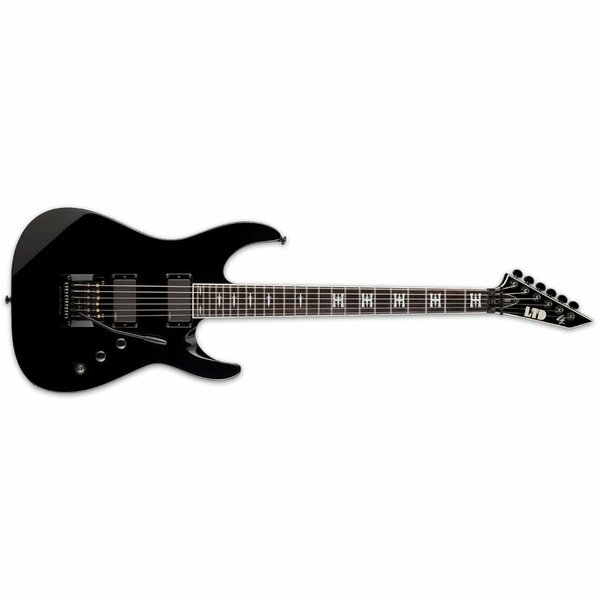 There's a good reason that the JH-600 has long been the most popular model in our Jeff Hanneman Signature Series. It all gets back to the basics of a lean and mean guitar that could handle the powerful playing of a thrash metal icon. Jeff is no longer with us, but his spirit lives on through the music of Slayer, and through players who continue his legacy via his Signature Series guitars. With the JH-600, you get a guitar with the stability to handle Jeff's frantic leads and brutal rhythms, with neck-thru-body construction at 25.5" scale, an alder body, and a three-piece maple neck with ebony fingerboard that features Hanneman's own custom "H Dagger" inlays. This guitar has excellent components that include Grover tuners, a Kahler Hybrid bridge, and an EMG 85 (neck)/EMG 81 (bridge) active pickup set. Available in Black finish.